PTScientists teams up with Vodafone Germany to bring mobile data roaming to the surface of the Moon – and the cost needn’t be astronomical! 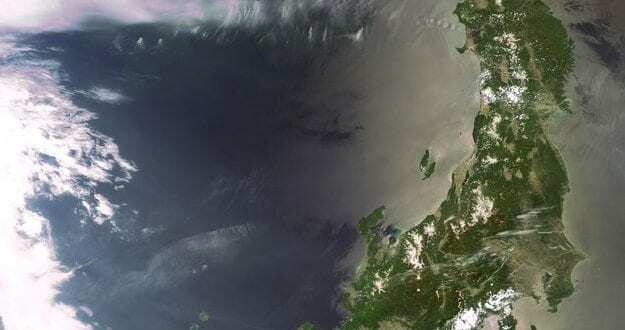 No need to worry about letting people know that you’ve arrived safely on the Moon – you’ll be able to check in on Facebook and send a selfie from the lunar surface thanks to a new partnership between Berlin-based PTScientists and international (soon to be lunar) mobile communications operator Vodafone. 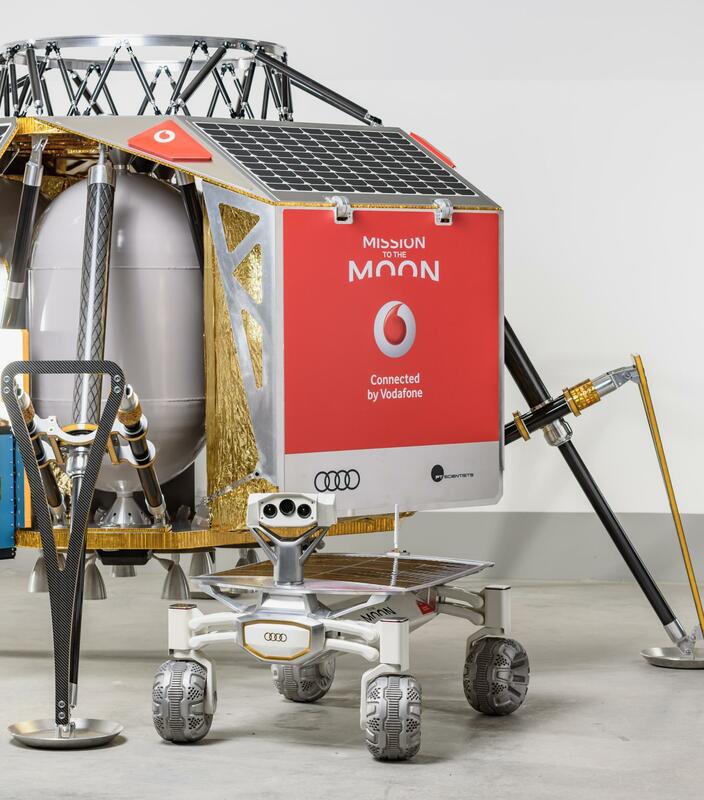 Pioneering new-space company, PTScientists, is working with Vodafone to deliver the first mobile data (4G LTE) base-station to the lunar surface. Not only will this enable super-fast data access for those of you who make it to the Moon, but it will provide essential communications support their upcoming Mission to the Moon. Investing in vital infrastructure is always costly, and the additional hurdle of launching equipment into space only adds to the expense. But PTScientists have designed their lunar lander, ALINA, to double up as a communications base station in order to keep costs down. In addition, using commercially available technology that’s already in a billion mobile devices on Earth, PTScientists are creating a network that will be accessible to future lunar explorers – and maybe even the first settlers on the Moon. 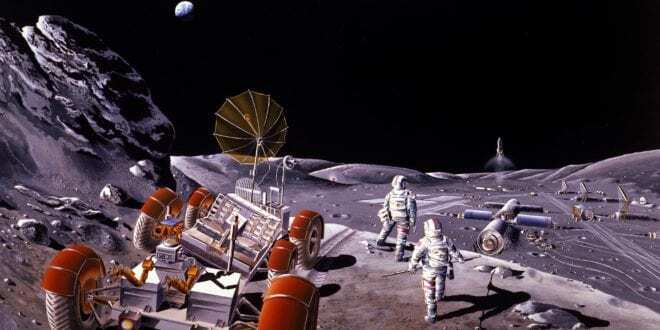 PTScientists aim to be the first commercial company to land on the Moon and will be launching their mission next year. They are sending a pair of small, but sophisticated, rovers to explore the final landing site in the US Apollo programme. 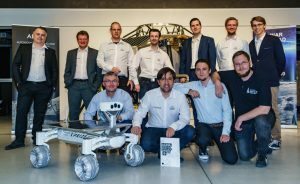 “Our rovers are packed with sensors and equipped with high definition cameras” says PTScientists electrical engineer and rover driver Karsten Becker. 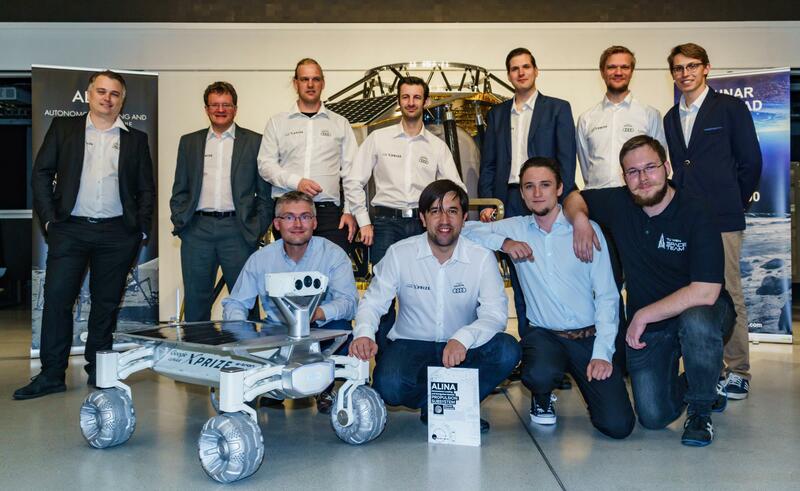 “We will be collecting a lot of scientific data on the Moon and the high-speed data connectivity that LTE gives us will enable the rovers to communicate with ALINA to send that valuable data back to Earth”. 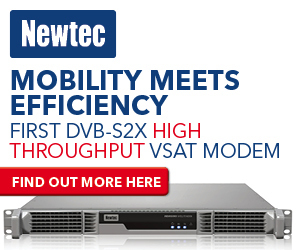 The benefit of using LTE data connectivity is that it uses drastically less energy than traditional radio communications. This means that large amounts of data can be transferred from the rover, via ALINA, and back to Earth, without the risk of draining the rovers’ batteries, or requiring them to stop each time they have data to transmit. “The less energy we use sending data, the more we have to do science!” says Boehme. Once the ALINA spacecraft has safely landed the pair of Audi lunar quattro rovers on the Moon, it will act as a base station enabling high speed data connectivity between all vehicles. 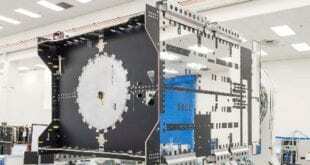 What’s more, it can also be used as a navigation beacon for future missions landing on the lunar surface. The consumer market for mobile data on the Moon may be some way off, but PTScientists believe that building versatile infrastructures is the key to make humanity a fully-fledged space-faring species. 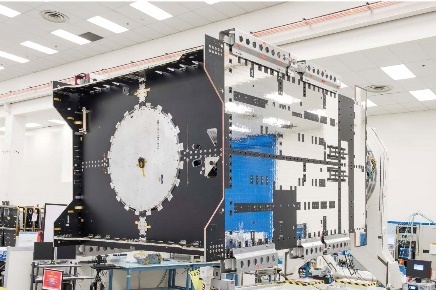 Not only will they reap the benefit of connectivity during next year’s Mission to the Moon, but they are delivering an important first piece of equipment for a future space communications network. Previous The #SpaceWatchME Interviews: Srinivas Prasad of Sasken Technologies Ltd.